Mon. #2 is HERE. To help the website please subscribe to Mistah MegaManFan so we can reach 1,000 (current count: 820). If you're a gamer you'll enjoy it! Don't miss Ian Clark's SmackDown Live Recap at 8 PM ET, Nickolye's 205 Recap at 10 or The Wrestling Nerdcast! Here's Tuesday's latest news. In this podcast Jerry Lawler talks about what he thinks is next for Dean Ambrose: "I think it's been understood for a while that Dean hasn't been completely happy with his role there. So, I tend to think this is real. He's the kinda guy who's looking to do something different. I know that AEW is out there and might make him a big offer. But right now, Dean's mindset is that he wants out and away from wrestling for a while." 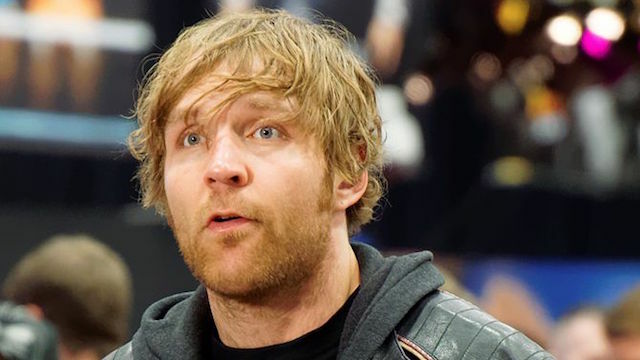 In addition Booker T also opines on what's next for Dean: "I do not see Dean Ambrose leaving WWE to go somewhere else. I'm sure AEW is gonna offer him a deal. When I left WWE, TNA offered me a deal. It was a sweet deal, ya sit at home the majority of the year. Just show up every now and then and make some money. That was a sweet deal for me, that was like a vacation. I don't think a new company like AEW is looking for guys to get that Roger Clemens treatment where you ain't gotta practice, you just gotta show up and throw fastballs on game day." From WWE: "WrestleMania Axxess tickets available Feb. 8 at 10 a.m. ET! WrestleMania Axxess takes over Brooklyn Pier 12 in Brooklyn, N.Y., Thursday April 4 to Monday, April 8. Fans of all ages will not want to miss the ultimate WWE fan experience, featuring Superstar meet & greets, memorabilia displays, live matches, photo ops and much more. In addition, Axxess will host the WrestleMania Superstore, housing the largest selection of WWE Merchandise under one roof. Tickets for the year's biggest WWE fan celebration will be available at Ticketmaster.com, beginning Friday, Feb. 8 at 10 a.m. ET. An exclusive ticket presale will run from Wednesday, Feb. 6, at 10 a.m. ET to Thursday, Feb. 7, at 11:59 p.m. ET. Use code DOTCOM." WWE has also advertised there will be an International Superstar Shakeup April 15th & 16th in Montreal. Sting has been added to Starrcast II in May in Las Vegas. From WWE: "Happy birthday to 'Woooooo!' WWE will celebrate the 70th birthday of iconic two-time WWE Hall of Famer Ric Flair on the Feb. 25 edition of Monday Night Raw. The Nature Boy's parties are never modest, so we can only imagine what lavish festivities are in store ... and which Superstars and WWE Legends will drop in for some stylin' and profilin'. Don't miss Ric Flair's 70th birthday on a special Raw, live on Monday, Feb. 25, at 8/7 C on USA Network!"